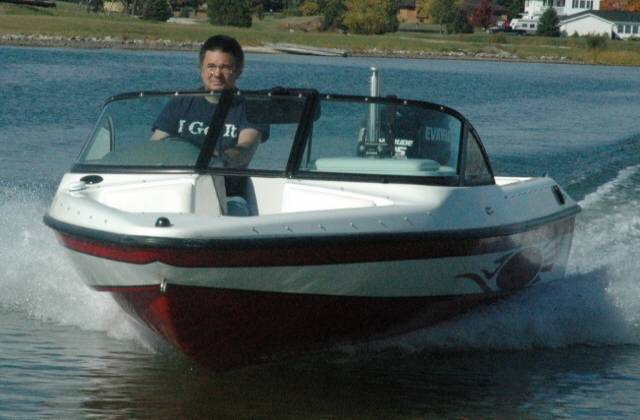 It seemed obvious to me that if you want to buy a Dyna-Ski Boat the best way to do it is email or call Dyna-Ski Boats. Email info@dyna-ski.com or call 715-854-7501. After hearing this question and other similar questions it finally occurred to me that I should address this issue on my blog as it was not obvious. Seems people are not used to contacting the manufacturer directly and actually talking to the person that owns the company about what they are interested in. Every Dyna-Ski boat is custom made for the owner. I seldom have a new boat on hand although I try to build a demo or two every year. Often times the demo gets sold before it hits the water as a demo. I'm not sure if it is easier or better to look thru the information on this blog first and then get some ball park pricing or if you want the prices first before you decide how you want your Dyna-Ski built. Only you can answer that question. The blog has answers to questions and information that people have asked me about over the years and continue to ask every year. I wish that it had a better way to index the information other than by the date they are written. Sorry. Some shoppers inquire about Dyna-Ski used or left over boats. There are not any left overs or non currents as dealers and manufacturers often call them. It isn't common for owners to sell their Dyna-Ski or even their old Hydrodynes. Often the boats are given to the kids or sold to a neighbor and seldom do they inform Dyna-Ski that their boat is for sale. 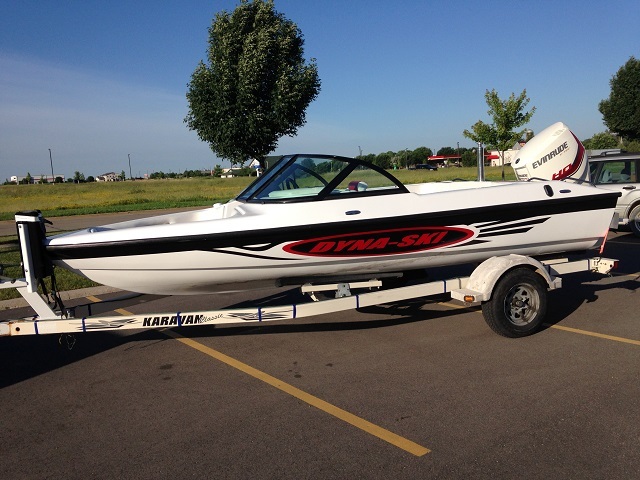 If a used Dyna-Ski is available they tend to command top dollar and sell quickly during the boating season. Because there are more Dyna-Ski Boats out there I had/have a couple owners that are looking to sell and buy new Dyna-Ski boats. Both have taken their boats off the market as the time of year that I can guarantee that they will get their new boat for this spring is passing as I am writing this entry in January. We build water ski boats, fishing boats and skiffs at the boat shop in Iola, WI. more and more every year. It is hard to guarantee when a boat will be finished because we are a small company as boat builders go and suppliers are not good. Boats are built in the order that is determined by when the deposit arrives. We do our best to keep the stuff we need to build boats in stock however we don't have the space available to stock lots of everything. Suppliers have grown awful over the past 3 to 5 years and they don't seem to care. The best way to get it rolling is to contact me (Pete) at info@dyna-ski.com or call 715-854-7501 and leave a message. I reply typically within a day often the same day so if you have not gotten an email check your spam folder. Remember that email is not 100% and voice mail isn't either plus there is the human element (me) so there is a chance I didn't get your message or misplaced it. I talk to many people in a week about the same things (Dyna-Ski Boats). I prefer email as this provides a paper trail but even email isn't perfect. I often return calls from my cell phone which I also text from. If I get a call on my cell phone I answer it unless I cannot talk in which case I will call you back when I have time to talk. 715-854-7501 is not a cell phone so don't waste your time texting this number. Dyna-Ski Boats builds some very unique products. 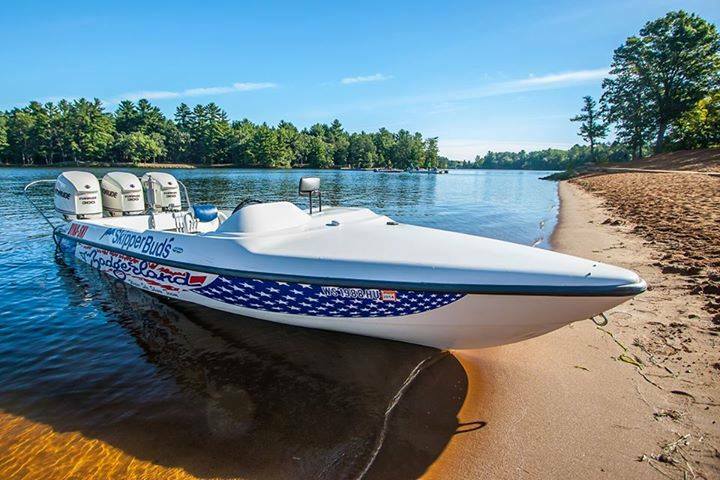 Our boats are built strong and we use the same materials and techniques to build every Dyna-Ski Boat. There isn't as much material (weight) in the Open Bow boats as there is required in the 20' Closed Bow model unless you want to order your boat this way. The fastest way to send money to Dyna-Ski is to overnight a personal check using the post office. Wire Transfers take your bank and mine time to process them plus the banks charge more than the post office. Besides I like to help keep the Post Office in business. You should not require a signature because no one is usually in the home office when the mail person comes and my mail box is 500' from the house which means it does not work out well. Often times the mail person will put the overnight envelope in my door. Given the rural location of my house/office on Lake Noquebay in Wisconsin there isn't anyone around to swipe my mail.